Now that Labor Day has come and gone, summer has unofficially come to an end. Though summer is not officially over until September 23rd, many people across the country have already packed their shorts and swim suits away, opting instead to fill their dressers with long sleeved shirts, pants, and other autumn attire. Fall is almost here. Then, before you know it, Jack Frost will be nipping at your nose. And, if predictions are accurate, we are in for another harsh winter. According to climate experts at the National Oceanic and Atmospheric Administration, Baltimore is primed for another snow-filled winter. And the Farmer’s Almanac agrees, calling for a colder-than-normal and wetter-than-usual winter. The 198-year-old publication uses a secret formula based on sunspots, planetary positions, and lunar cycles to predict weather patterns. “We’re calling for some frigid conditions, bitter conditions,” said managing editor Sandi Duncan. Are you ready? More importantly, is your home ready? 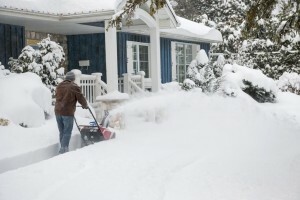 The time to start preparing your home for winter weather is before it gets here. Otherwise, you will be left hoping and praying that your home is up to the task. With winter right around the corner, now is the perfect time to prepare your home for the coming season. Ceiling fans can aid with heat. That’s right! Ceiling fans not only help keep you cool in the summer. By reversing their rotation, these fans also help keep your home warm, toasty, and energy efficient. Click Hereto learn more. Invest in a backup generator and maintenance agreement. A backup generator is designed to automatically kick in if your power goes out. This helps ensure your home’s electrical system continue working when you need them most. Click Here to learn about the benefits of backup generators. Finally finish those odds and ends. Do you have small, odds and ends jobs that you have been meaning to get to all summer? If so, you are not alone. Homeowners all across America entered this summer with high expectations and long To-Do lists. Unfortunately, most of these lists are never finished. Whether it is because time is too precious, or you do not have the experience, these small jobs can turn into bigger problems if they are not taken care of. Fortunately, TriStar Electric can help! If you are interested in learning more about the benefits of a TriStar Electric Generator Maintenance Agreement, please contact TriStar Electric by calling 410-799-5791 or 301-384-8880 or fill out the contact form on our website. Our electricians can provide you with a competitive quote that covers every stage of the process – from installation to final testing. This entry was posted on Wednesday, September 3rd, 2014 at 8:17 pm. Both comments and pings are currently closed.